Do you hate seeing something online without having the tools necessary to remove it? It is tough investing in your personal brand of your company’s reputation, only to have it be brought down by negative online images. Images are easier to create than written articles or reviews, which is why any unprofessional individual can create them. A lot of times when you search for your own business, you tend to find images that are copyrighted or used illegally without your authorization. 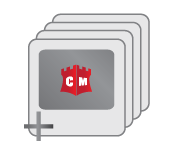 Centel Media offers the negative image suppression service, which requires you to have access to a negative image that is illegally used on the web without your permission. Our team of experts will suppress the image for you. Images used without your permission can have a very large impact on the way people view you or your company. Some random individual can take your image and use it to promote negative publicity. You want these images taken down so potential clients do not confuse your business for something other than its true purpose. Another thing that our team at Centel Media can do for you is trademark an image for you. By trademarking an image, we make sure that no one takes an original image created by you or your company. When you put your time and effort into creating something for yourself or your company, the last thing you would want is for someone to take that away from you. Trademarking is a great way to make sure that you receive credit for what you created. 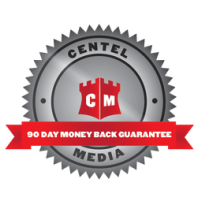 Centel Media is the top reputation management company. We are here to help you either remove a copyrighted image or trademark an original image. The only thing you need is access to the image that is being investigated. Our loyal employees here at Centel Media will investigate the image and make sure no one else has any rights to it. If that is all cleared, then we will contact the person who stole your image and work to take the image down. If you want to trademark an image, we can do that as well. We will also create original images for your company to use in order to create positive publicity in hopes of reaching more potential clients. Click the above icon for more information.